Sensory perception is such an intangible thing. There are so many variables at play when we evaluate a spirit, from the emotional and environmental factors to our own inherent biases, that it is a wonder that there is any kind of consensus at all. How do we take what is a very personal translation of a spirit and successfully portray it as something that is meaningful and measurable to others? There are many tasting methodologies around, but like the globally recognised Wine & Spirit Education Trust’s (WSET) trademark Systematic Approach to Tasting, most tend to adhere to the same fundamental principles of assessing the appearance, aroma and taste of a spirit. Clarity and condition are considered; intensity, length and complexity are scrutinised, and a broad vocabulary of commonly used terms is employed to describe the vast array of aromas and flavours that bombard our senses. We strive to minimise the distractions of the world around us, eliminating extraneous factors and endeavour to deliver an honest, impartial assessment of the liquid before us. We spend inordinate amounts of time, energy and money improving our technique and honing our skills but how much attention do we pay to the glass and how much impact, if any, does it have on our perceptions of aroma and flavour? In times past things were simple. You had a copita for the serious analyst, a snifter for the connoisseur and the rest of us made do with a rocks glass. Times have changed and the last decade or so has seen an outpouring of glassware to maximise the enjoyment of a spirit and enhance its organoleptic attributes. Some are more aesthetically pleasing, designed for style over performance. Others claim to be ergonomically and scientifically designed to bring out the best of what is in the glass. Angus Winchester, Director of Education at Bar Convent Berlin, explains, "While personally I would use a sherry copita when tasting and learning about fine spirits as long as I am tasting and learning about fine spirits and the glass is clean and consistent I am a happy camper." The array of glassware available is overwhelming. It seems that every spirit category now has its own specially designed glass. Herein lies part of the problem. Each of us has our own idea of what the perfect glass is. Our own partiality to a particular idea of form and function can sway our opinion before we even pick up the glass. If the shape of the glass is too far removed from our pre-conceived notions of what is correct then we are already stacking the deck unfairly, regardless of its merits. Likewise, if the glass doesn’t feel right in our hand or the glass is too thick, it can be difficult to get beyond this and give the spirit a fair assessment. Once someone has decided upon what they think is the best glass it is very difficult to change that opinion. As much as we like to believe that we make these decisions impartially we generally pick a glass based on a recommendation or endorsement and we rarely have the time or inclination to compare various glasses side by side. Liquor companies and glass manufacturers have slick marketing machines and lots of shiny bells and whistles to coerce and cajole us into believing that their glass is best. But is this merely hype and hyperbole or is there some rhyme and reason to this shift? Did more choice suddenly make us all better tasters? What do we want from a glass? In recent years, the general consensus of the industry at large seems to be that the most effective glass to use for spirit tasting has a basic tulip–like design. These glasses vary in looks but all tend to share several commonalities. A relatively wide bowl for easy swirling and maximum evaporation and a convergent rim to capture as many of the aroma compounds as possible. As most of what we consider to be flavour is actually aroma, rather than taste or texture, it makes sense that so many of the glasses available focus on increasing our perception of volatile aroma compounds. If the glass is too narrow, then all that we are likely to be smelling is ethanol as it tends to be more volatile than some of the heavier congeners. In terms of the preferred type of rim there seems to be two schools of thought; those who want to capture as many of the aroma compounds as possible and those who want to be able to lessen the impact of ethanol on the nose. If you choose to dilute your spirit, then the convergent rim stands out as a great way to maximise your ability to perceive a fuller range of aromas, particularly in a high congener spirit or one that has a lot of botanicals present. However, with the prevalence of high proof and cask strength offerings in the last few years, having a glass with a flared or divergent rim is certainly going to help lessen the risk of overwhelming or anaesthetising the olfactory bulb with a big hit of ethanol. Whilst many glasses focus on maximising olfaction, several others focus more on liquid dynamics and how the spirit flows from the glass over the tongue. Unfortunately a lot of the logic here is based on the outdated idea of the tongue map, whereby we are sensitive to sweetness on the tip of our tongue, bitterness at the back, acidity along the sides and thus to get a full appreciation of the flavours it is necessary to have a wider flow of liquid from the glass and therefore a flared rim is far more effective. A convergent rim would simply deliver a narrow beam of liquid to a very localised part of the tongue and therefore you would be getting a one-dimensional profile. The idea of a “one tongue map fits all” has long been disproved. Everyone’s palate is different, some of us with more or less papillae that make up our taste buds and some of us more or less sensitive to various textural stimuli (fats, oils, tannins, etc.). Perception of flavour is individual, as is where on our tongue and throughout our palate we are most sensitive to bitterness, acidity and sweetness (although we can detect all basic tastes to some degree throughout our tongue). To compound things further our sensitivities can change over time, especially as we become more familiar with and tolerant to various spirits. Therefore, there is still a good deal of merit to the idea of getting as broad a flow of liquid onto the palate as possible to ensure that we get the full spectrum of flavours and to this end a glass with a divergent rim seems the most likely to be able to achieve this. However, the same results could likely be accomplished by simply swirling the liquid in our mouth. For me the biggest flaw with the idea of a perfect glass is that we are all imperfect. Our perceptions of aroma and flavour are as distinct from one another as our preferred tipple. What one person may find enjoyable another may find unbearable. Personal preference will always surpass anything that a glass may be able to hide or enhance. Whilst the shape, size and design of the vessel can all certainly impact how a spirit is initially perceived, it will ultimately be our own notions of the good, bad and indifferent that will dictate our appreciation of or ambivalence toward any particular dram. 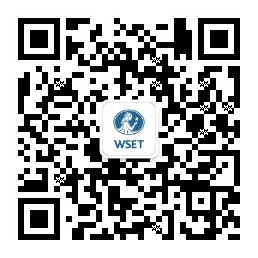 This feature piece is written by Rob McCaughey, WSET Certified Educator and USA Business Development Manager - Spirits.